Autism is such a complex medical condition that diagnosing it can be tricky. Symptoms vary significantly from patient to patient, as does severity. To further complicate matters, there’s no one definitive test that identifies the disease, a situation that is as frustrating for the medical community as it is for parents. Fortunately, genetic scientists are tirelessly working on ways to identify clues and signals for the autism spectrum disorder (ASD) in chromosomes and DNA. Behavioral tests have been the traditional diagnostic tool, with behavioral and physical characteristics both playing a role in diagnosis, but this kind of test is subjective rather than following a clearly defined, definitively measured standard. A new study of two different kinds of genetic tests identified ASD in a small number of patients, leading the test’s authors to recommend a 3-step diagnostic process when autism is suspected. Every cell in the body (except mature red blood cells) contains a nucleus that houses 46 chromosomes, half of them inherited from the biological mother, the other half from the father. Each chromosome houses DNA strands that determine the individual’s unique traits (blond hair from mom, maybe, or blue eyes from dad, tall or short, musical or athletic, risk of inherited diseases such as cancer and diabetes). Each DNA strand houses genes that turn on (activate) or off (deactivate) for various traits. Proteins, amino acids, enzymes, and environmental factors influence which genes are turned on or off. Environmental factors include, but are not limited to, air pollution, cigarette smoke, stress, alcohol consumption, and illness before and after birth. At every spot along a DNA strand where a gene from the mother joins with a gene from the father, a base pair is created. Genome is the term that describes the entire collection of DNA in any organism, including humans. The human genome contains roughly 3 billion DNA base pairs. Genomics refers to the study of the genome’s evolution, function, mapping, and structure. About 1% of the entire human genome consists of a special form of DNA called the exome. Sequencing (reading the DNA) has identified almost 30 inherited diseases that originate in the exome. More than 100 genes associated with autism have been identified to date. Some of these genes can be detected in a study of chromosomes using chromosomal microarray analysis (CMA). Others can be detected using whole-exome sequencing (WES). Some genes are detected by both tests. Dr. Stephen Scherer wanted to see which of the two testing methods worked best. Scherer is director of the Centre for Applied Genomics at the Hospital for Sick Children in Toronto, Ontario, Canada. He’s also a professor of molecular genetics at the University of Toronto. Severity of disease before genomic testing was categorized as essential (mild), equivocal, and complex (severe). All children had CMA testing done. The CMA identified ASD in 24 children (9.3%). WES identified ASD in 8 of the 95 tested (8.4%). When both tests were done, ASD was identified collectively in 15 (15.8%). Of that 15, 2 cases were identified by both tests. The combined testing (CMA and WES) delivered positive evidence of ASD more often in the severe cases than in the mild cases. Scherer recommends a three-step diagnostic process that begins with behavioral testing. If these tests indicate ASD, he suggests moving forward with CMA and then to WES to perhaps detect something the CMA missed. Currently, the WES is more favored by diagnostic labs than CMA. The CMA costs approximately $500 and the WES is slightly more expensive. Healthcare insurance providers are usually reluctant to embrace new technologies and may not cover either or both tests. Tammimies, Kristina, Stephen W. Scherer, et al. "Molecular Diagnostic Yield of Chromosomal Microarray Analysis and Whole-Exome Sequencing in Children With Autism Spectrum Disorder." JAMA 314.9 (2015): 895-903. JAMA Network. Web. 18 Sept. 2015. Park, Alice. 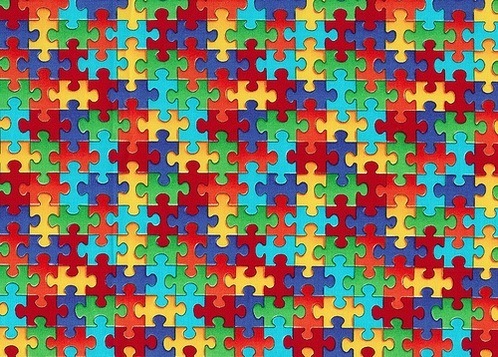 "Researchers Zero in on the Best Way to Diagnose Autism." TIME Health. TIME Inc., 1 Sept. 2015. Web. 18 Sept. 2015.